Menstruation after childbirth varies from one woman to another. 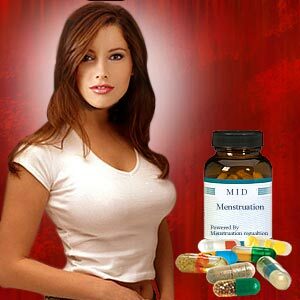 On an average, the return of menses for women is fourteen months after childbirth. While some report periods as early as two months after birth, others are as late as forty two months. Many mothers are baffled about when they will get their first period after pregnancy. Return of menses after birth depends on individual body and hormonal influences of Breastfeeding. If the baby is given supplementary feed and they sleep through the night, chances are that menstruation should return earlier for the mother. Women who do not breast feed may get their first periods after birth as early as even a month. Some women mistake the bloody discharge after delivery to be menstruation. This postpartum bleeding immediately after childbirth cannot be construed as menstruation. It is not periods but additional fluids coming out of the uterus after childbirth. This discharge can continue up to two months. Breastfeeding can suppress menstruation. This is because the prolactin present in the breast milk tends to suppress the menstruation after pregnancy. Many women do not get their periods at all while they are breastfeeding. Once they get their first period, it can be very irregular. But this is very normal and the cycle becomes regular over a period of time. If the baby is bottle fed, chances are the periods will return faster. In fact in 80% of the mothers, menstruation returns within ten weeks after birth if they do not breast feed. The hormonal levels of women vary from each other. 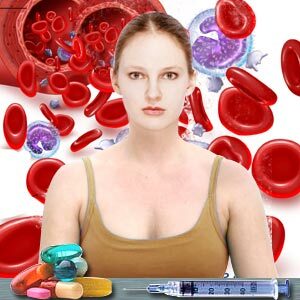 Different hormonal levels can effect the duration and return of menstruation. The mother is fertile as soon as she gets her first periods, although she can be ovulating even without menstruation. There are mothers who get their menstrual periods after ovulation. It is very likely that after pregnancy, the period when it returns, will be heavier and painful when compared before pregnancy. There might be premenstrual syndromes when menstruation resumes after pregnancy. Even while breastfeeding, it is better to use birth control methods such as condoms or diaphragm or other barrier methods. Mothers who do not breastfeed can choose other options such as IUD insertion, contraceptive pills or barrier methods. Menstruation after pregnancy is unpredictable and can differ from woman to women and it changes monthly in the same woman. Menstrual periods become more normal and regular once the body is healed and the uterus returns to its normal size and starts functioning quite normally. It is vital to understand that after child birth ovulation and menstruation need not happen together; she may have her period without ovulation or may ovulate and then get her first period shortly after. Many women do not know that are ovulating and get caught out falling pregnant! Pregnancy and child birth can bring significant changes in her menstrual cycle. She needs to cope up and adjust with these changes instead of worrying about menstruation after pregnancy. Adjusting with the changes and yet adapting and enjoying life after pregnancy should be the objective. Over time, as everything else, menstruation after birth will return to normalcy. First Published Date: 9 Oct 2009 Last modified Date: April 25 2019 This page may have been updated recently as new information is available or the content may have been edited for better readability.